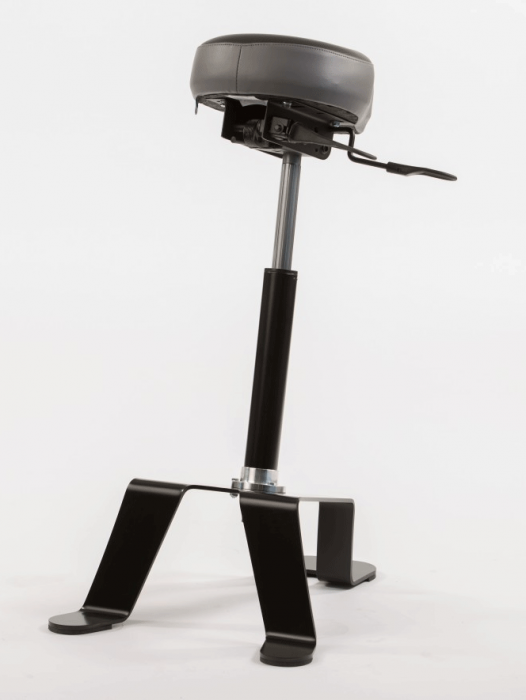 TA-180 for welding is the sit-stand ergonomic stool. 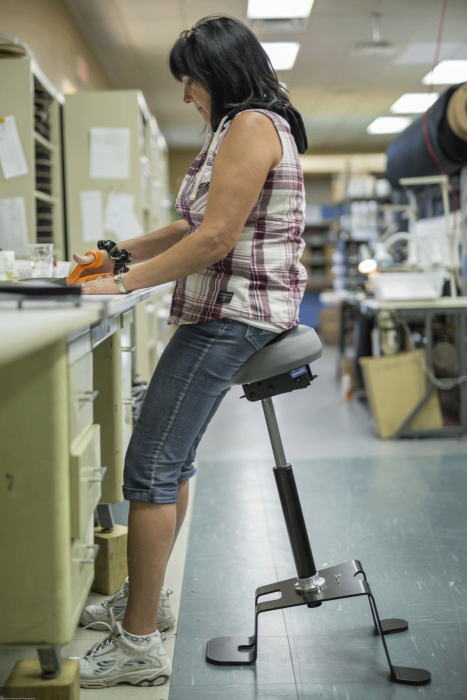 It improves workers comfort while working on high surfaces and reduces muscular fatigue in the lower limb. 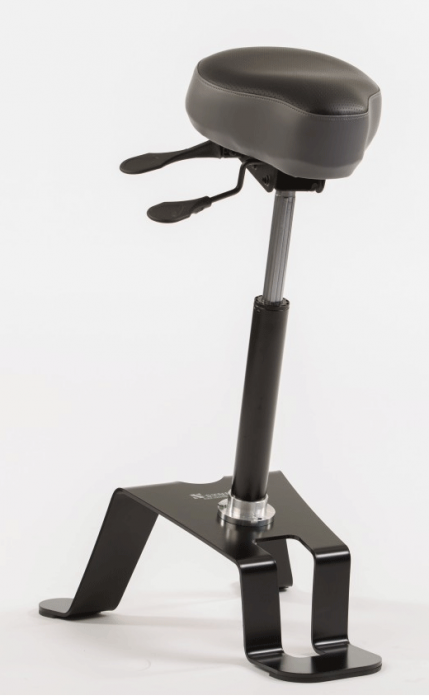 It also has a fireproof material that allows for work with sparks, such as welding. against wear other than for the applications specified within this document. Synetik design will not be held responsible at any time for any damages and/or interest, direct or indirect losses, incidental, consequential, repeated and/or exemplary losses or damages. 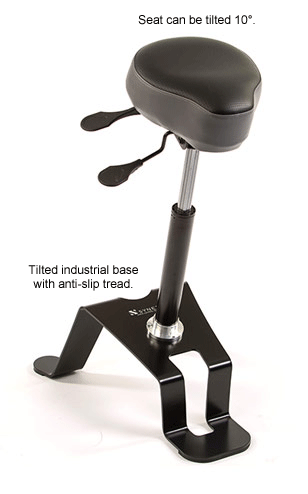 This Warranty applies to normal use, meaning a standard eight (8) hour day, and for a maximum user weight of 350lbs. All defective merchandise must be made available to a Synetik representative for complete inspection. This warranty applies exclusively to the terms and conditions as listed herein, and to the original purchaser only. 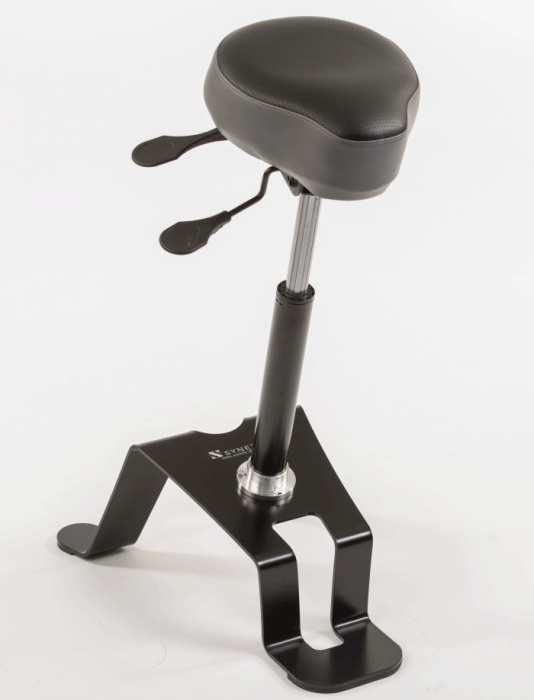 The original purchaser is deemed to be the individual who purchased a new product from Synetik design or from an authorized distributor or reseller, for their own personal use.